Green Residence Hall’s suite-style living facility has 16 three-bedroom suites on each floor, and all suites are fully furnished. 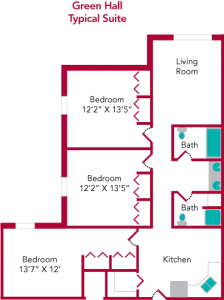 Up to two students are assigned to each bedroom, and housing charges are charged individually to each person living in the suite. The Green Residence Hall contract is for the academic year and closes during certain school breaks and for the summer. Many programming activities are scheduled throughout the year including a Luau and Tug-O-War contest, Trick or Treat Off the Street and a Spring Carnival. For the safety of our residents, all suites are equipped with a card-scanning system (in place of a traditional key-entry system). The building’s exterior side doors remain locked at all times, as do the individual suites. 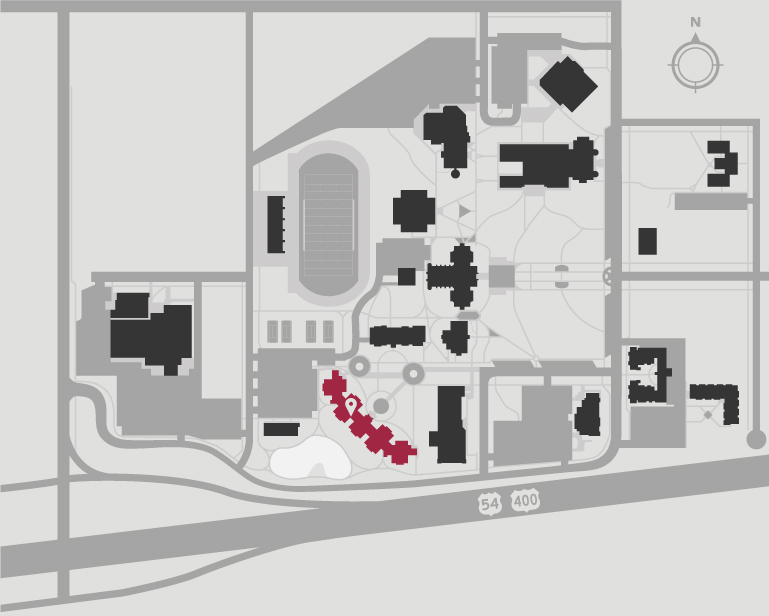 The main entrance door is unlocked from 8:30 a.m. to 5 p.m., Monday through Friday. Visitors are only admitted if accompanied by a resident, and the beautiful campus (including parking lots) is extremely well-lit. $1,900 per semester/person, includes electric, gas, water, garbage, cable and Internet. Green Residence Hall occupancy is charged individually. Thus, each resident is responsible for a payment plan, which lasts from the official move-in day in August through the official move-out day in May. Billing is set once at the beginning of the fall semester and once at the beginning of the spring semester. A student may pay the bill with one payment or, for a small fee, may make monthly payments in the Student Account Services office. Green Residence Hall is divided into 32 suites. A suite includes three bedrooms, two bathrooms, a living room and a kitchen, which includes a microwave and a full-sized refrigerator. 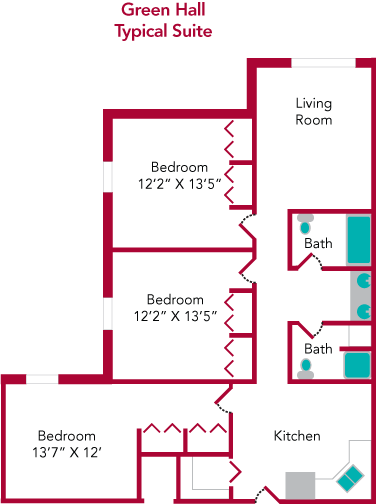 Up to six individuals live in each suite, with two in each bedroom. 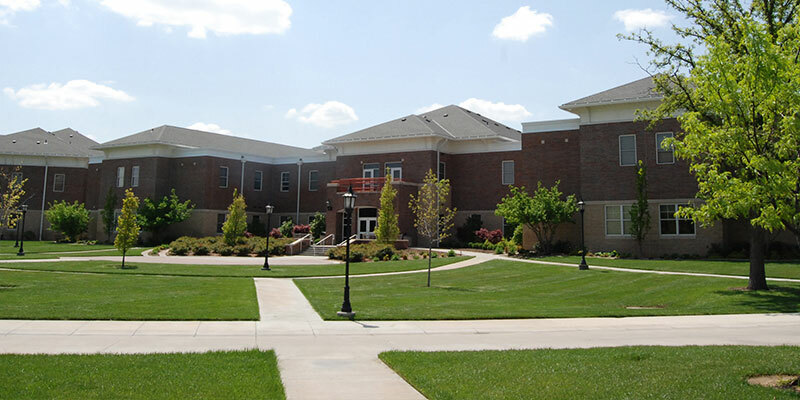 Green Hall is co-ed, however, female residents live on one floor of the building and male residents live on the other floor.